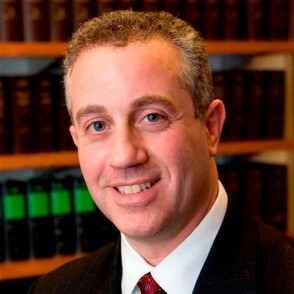 Andrew “Avi” Lauer serves as Yeshiva University’s vice president for legal affairs, secretary and general counsel. In this capacity, Mr. Lauer is responsible for all legal matters pertaining to Yeshiva and its affiliates within the United States and abroad. Mr. Lauer also serves as counsel to President Richard Joel. Prior to his appointment at Yeshiva, Mr. Lauer was a partner at the international law firm of Thelen Reid Brown Raysman and Steiner LLP, where he maintained a large and diverse practice, while also serving as an active member of Thelen’s labor and employment law department. Mr. Lauer served as relationship partner to numerous clients in relation to various areas of legal specialty, including corporate, real estate, litigation, technology, outsourcing, bankruptcy, patent and trademark, and he often functioned as outside general counsel to many companies. Mr. Lauer also established and maintained an extensive Israel practice at Thelen and he worked with many Israeli owned and/or affiliated companies and regularly traveled to Israel to meet with his Israeli clients and contacts. Mr. Lauer also has prior professional experience as senior employment counsel in the office of general counsel of PricewaterhouseCoopers Consulting (PwC Consulting), where he was responsible for all employment law related matters affecting the firm and its more than 30,000 employees. In addition, he was responsible for all in-house employment law related matters pertaining to the planned IPO and the ultimate sale of PwC Consulting to IBM. Before joining PricewaterhouseCoopers, he served as assistant general counsel of Deloitte & Touche USA, where he was employment counsel to both Deloitte & Touche LLP and Deloitte Consulting L.P.
Mr. Lauer was also an assistant district attorney in the Kings County District Attorney’s Office in Brooklyn, New York, where he conducted numerous trials and investigations and was assigned to several bureaus, including the elite Trial Cadre unit of the Homicide Bureau. Mr. Lauer is involved in numerous community causes and serves and/or has served on the Executive Board of several charitable organizations in the New York area. Mr. Lauer is a former President of the Young Israel of Woodmere, former Chairman of the Board of Trustees and Honorary Past-President of the Hebrew Academy of the Five Towns and Rockaway, and a member of the Audit Committee and Long Island Board of Ohel Family and Children’s Services. Mr. Lauer also served as pro bono counsel to several organizations and not-for-profits, including the Union of Orthodox Jewish Congregations of America and Lincoln Center for the Performing Arts. Mr. Lauer has published numerous articles and has conducted training and seminars in various areas of the law throughout the United States and abroad. Financial Crisis: How Can You Help? Where does a Beth Din Fit within a Modern Society?